The Galaxy Note 8 won the award at the Exhibit Tech Awards 2017. The phone was named Gadget of the Year at India Mobile Congress in September. Samsung also took home Wearable Gadget of the Year for the Gear S3 smartwatch. Samsung’s Galaxy Note 8 earned the title of Flagship Smartphone of the Year at the Exhibit Tech Awards in Gurgaon, India, last night. The award caps off a spectacular comeback year for Samsung. Just over a year ago, the Samsung Galaxy Note 7 was recalled due to faulty battery design causing devices to overheat and catch on fire. 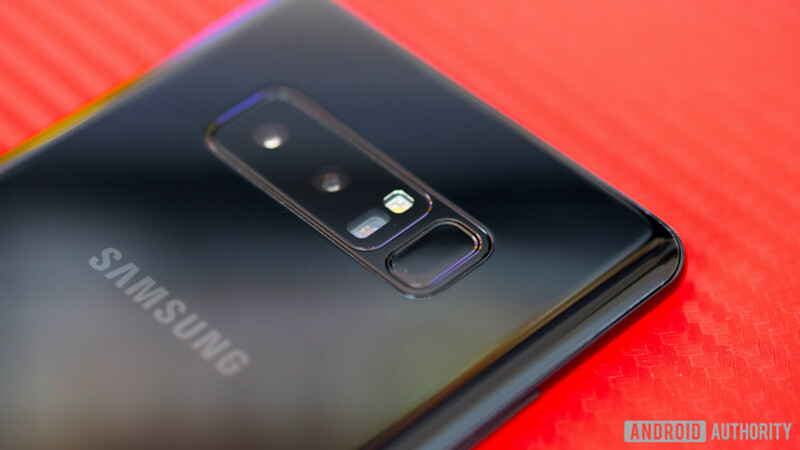 There was speculation at the time that Samsung would end the Note lineup because it was seen as tarnished beyond any possibility of a comeback. Well, it’s back in a big way. The Flagship Smartphone of the Year award follows another win in September, when India Mobile Congress named the Galaxy Note 8 Gadget of the Year. It’s easy to see why the phone is so well loved by reviewers and customers alike. It has a big, beautiful display, takes great pictures, and has fantastic battery life. While it didn’t top our Best of Android 2017 list, it did come a close second behind the Huawei Mate 10 Pro. Samsung had plenty to celebrate at last night’s awards, beyond the Galaxy Note 8 win: the Gear S3 smartwatch won Wearable Gadget of the Year. The watch, which came out earlier this year, recently got a major facelift with Samsung’s Value Pack update. The Gear S3’s new features include real-time heart rate monitoring and the ability to sync, edit, and add new contacts. Widgets, apps, and icons now fit better and load faster, and a Moments Bar allows users to change settings quickly. Is the Samsung Galaxy Note 8 your phone of the year? If not, what is? Let us know in the comments.